High detailed 57" tall realistic boy child mannequin for your child display needs. 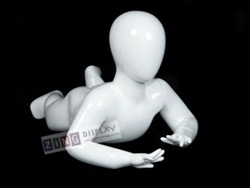 This realistic boy child mannequin will add pop to your shop. Great price for a high quality boy mannequin. 57" tall male child mannequin ready for you to help you sell you kids clothes.